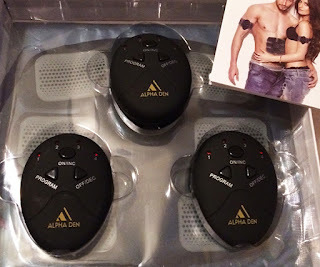 The Mobile-Gym: Smart Fitness item is an Alpha Den product and I was really happy to finally be able to try out one of these. What I didn't know (because I didn't completely read everything involved) was that the product is also good for muscle spasms and difficulties. It makes sense when you think about it. Alpha Den is offering Ginae Reviews readers the opportunity to save an additional 36% off of purchases, using only this link. The SECRET CODE is GINAE.